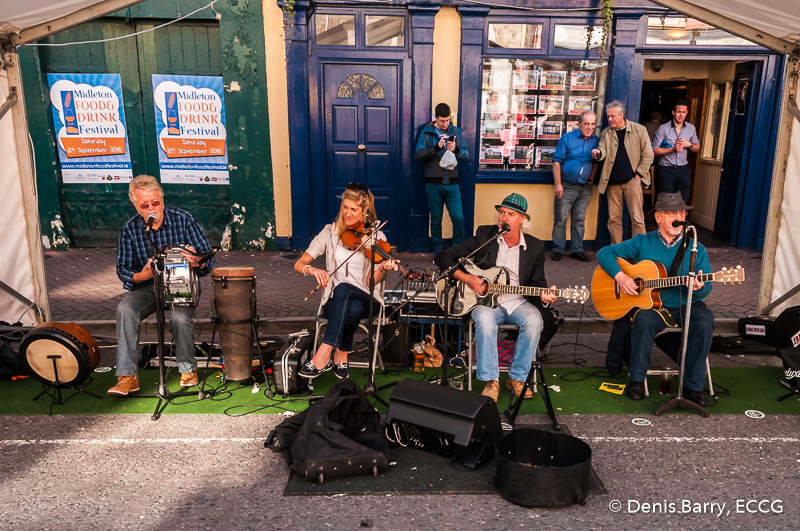 Following one of the wettest days of the year, Saturday 12/09/15 dawned with beautiful sunshine as traders and exhibitors began to put their stands together on Main Street, Midleton for the annual Food and Drink Festival's main event. A scene of intense activity for a couple of hours, everything was ready for the day ahead shortly after 9am as the first of the crowds began to trickle through. 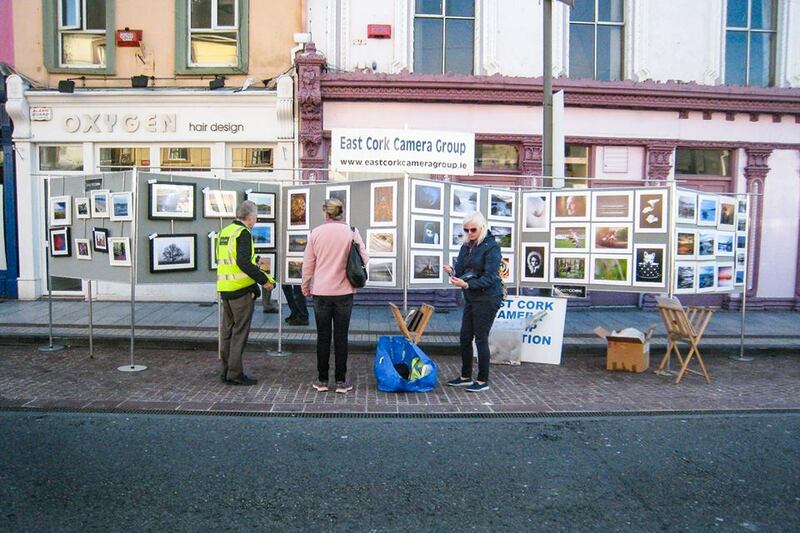 ECCG set up our stand on the 'sunny side' of the street just above Church lane with our 22-image, 2014 Photographer of the Year Exhibition as our main feature. Steady interest was evident from the start and we were delighted to meet and chat to photographers and those with an appreciation of photography, from Ireland and abroad throughout the day. 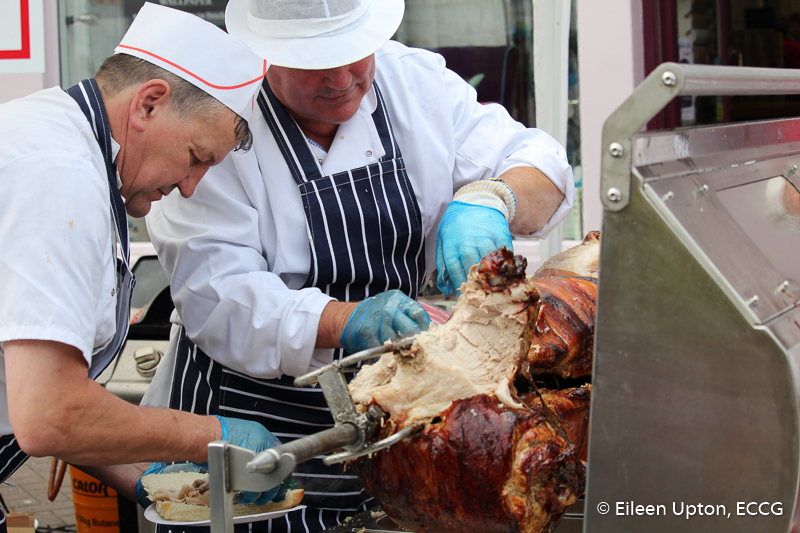 The festival itself was a riot of colour and activities with music and street entertainment providing the backdrop and feel-good factor to the culinary theme. ECCG members took some time to sample the atmosphere and grab some photos of the event and a full gallery of images can be seen here. Enjoy! This entry was posted in Exhibition, Shoots and tagged 2015, Cork, Exhibition, Ireland, Midleton Food and Drink Festival by Denis Barry. Bookmark the permalink.